“It’s no secret I had a super tough delivery. I lost count after, like, four surgeries because I was in so many surgeries. There was a time I could barely walk to my mailbox. “It’s like, come on guys, this is pretty awesome. To hear people say, ‘Oh, she’s a favourite’ – the last 16 months, I’ve played four tournaments, and was carrying another human half that time. 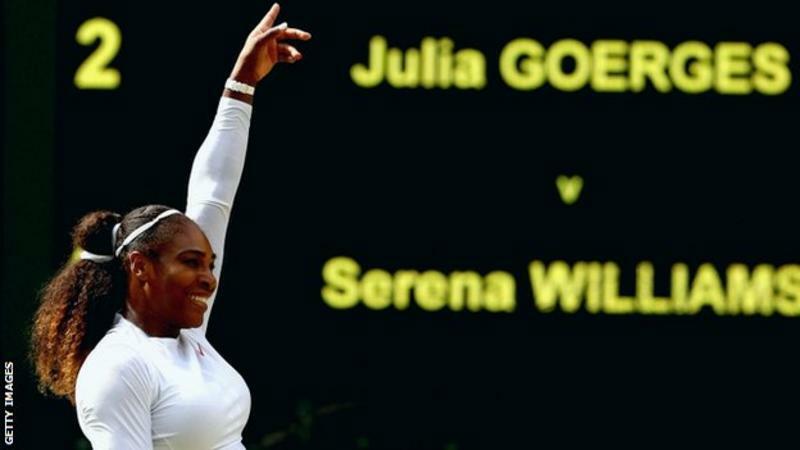 It’s interesting.” Williams, 36, arrived at the All England Club ranked 181 in the world and seeded 25th but these numbers have been fooling no-one. Although her 6-2 6-4 victory over German 13th seed Julia Gorges on Thursday was her first match against a top-50 player at these championships, she has shown enough power, desire and stamina here to answer any questions over the shape she is in. ← Fiat workers strike over Ronaldo signing….